£100 could provide more than 110 pregnant women with HIV tests to help protect their baby. £50 could help provide the vaccines to protect more than 300 children from deadly disease. £30 could provide all of the midwifery equipment necessary for the safe delivery of a baby. What you’re about to do could change a child’s life forever. We promise that the donation you make to Soccer Aid for Unicef today will be used to help more children grow up healthy, happy and safe. Thousands of children die every day from diseases that are easy to prevent. Between them, diseases like malaria, cholera and typhoid claim the lives of millions of children every year. Yet a £55 donation from you today could help us train a health worker so they can help provide children and their mothers with life-saving care, such as nutritional advice, anti-malarial mosquito nets and vitamin supplements, to keep them safe from disease. The donation you make today could help save a child’s life. In Swaziland, three-year-old Nkosingivile (pictured above) was born free from HIV thanks to the care and support his mother Philile received throughout her pregnancy from Unicef-trained community health workers. Unicef makes sure more of the world’s children are fed, vaccinated, educated and protected than any other organisation. In over 190 countries, our teams work tirelessly to ensure that children have the chance to thrive from the moment they’re born. We’ve done more to influence laws, policies and customs to help protect children than any other charity. We get things done. And we’re not going to stop until the world is a safe place for all our children. We receive no funding from the UN budget. We rely entirely on voluntary donations like yours to fund our vital work to protect children in danger, transforming their lives and building a safer world for tomorrow’s children. When you donate money online today and support Soccer Aid for Unicef, you can protect a child in danger, transform their life and build a safer world for tomorrow’s children. Please give what you can and donate online now. Thank you. 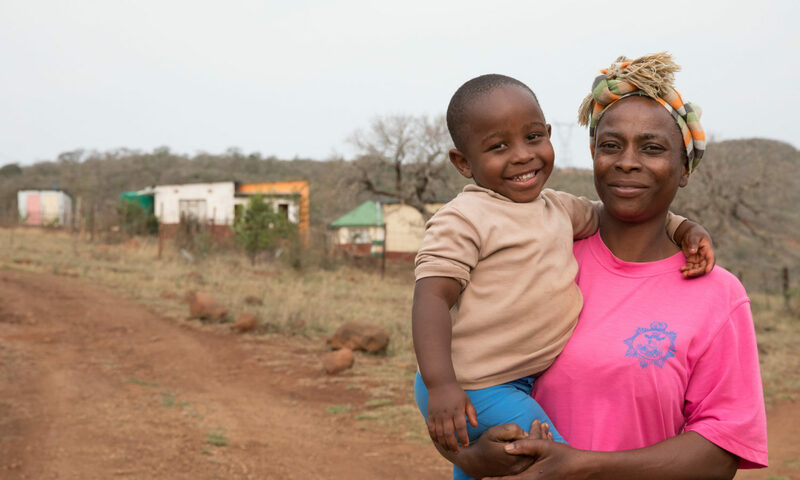 Three-year-old Nkosingivile was born free from HIV, thanks to the support his mother Philile received from Unicef-trained community health worker Zodwa (right).